Can I Be Arrested for a DUI in My Driveway? - Christian A. Schwaner, P.C. A DUI is not something that always happens on the road. It could be in a parking lot, on a private road, or even your driveway. The statute does not allow private property as a defense to a DUI, and a DUI can occur on almost any solid surface in the state. This is because the meaning of “driving” when combined with “under the influence” is not as clear as it is in other states. Instead, Colorado uses a broader term for what they consider “driving,” which essentially means being in possession of the vehicle at the time of your arrest. What if You Are Sleeping It Off? To prove a DUI or DWAI in the state, the prosecution must establish that you were in fact driving. If you were to pull over to sleep it off, you could still be arrested for a DUI, especially if the keys are in the ignition – whether you turned over the engine or not. Law enforcement does not have to observe you driving to arrest you. Instead, the term “driving” does not have a legal definition in the statutes. Under the CRS, any driver that is in actual physical control of a vehicle while intoxicated could be charged with a DUI. Any indication that you have direction or bodily influence over the vehicle. 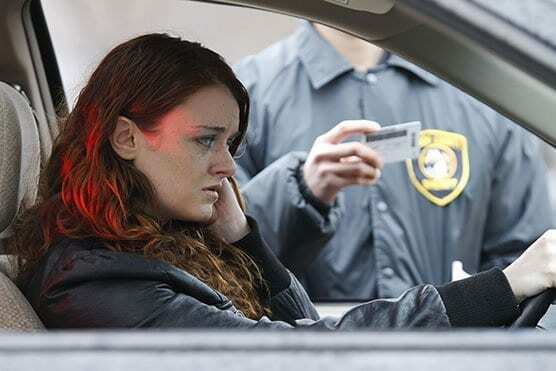 While these factors do not automatically mean actual physical control, the circumstances could result in a DUI charge. The Colorado Supreme Court has stated that there is no requirement that law enforcement must show some movement of the vehicle either. And in the DUI statute, it does not require movement of the vehicle at all. You are not immune from being pulled over or arrested regardless of whether or not you were on private property at the time of your alleged DUI. You can get a DUI in a parking lot or your driveway just as easily as a public highway. This is because regardless of where your vehicle is, you are required to follow all traffic laws the moment you get behind the wheel of that car. Therefore, if officers witness behavior that appears to be that of an intoxicated individual, they have the right to stop you and request a field sobriety test or even a breathalyzer on the scene. You can be arrested for a DUI even if your vehicle is parked – regardless of whether or not the engine running. In situations such as these, officers typically use discretion. After all, they do not like to go onto public property nor would they purposely go and seek you out. However, sweeping into a driveway and hoping that you will avoid an arrest does not count. If officers can prove that you were behind the wheel and in possession of the car while intoxicated, you could face a DUI. If you are arrested for a DUI in your driveway or on private property, you may have a viable defense. First, you need to speak with a criminal defense attorney that has experience with these types of cases. Speak with attorney Christian A. Schwaner, P.C. today to explore your options. Schedule a consultation now at 719-577-9700 or request more information online.